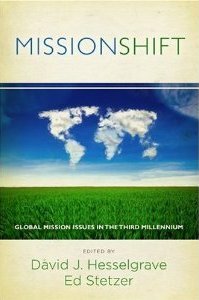 This is part 2 of my review of MissionSHIFT: Global Mission Issues in the Third Millenium. You can read Part 1 to get more background. Part 2 deals with an essay by Paul Hilbert about “Contextualization.” His essay is responded to by Michael Pocock, Darrell L. Whiteman, Norman L. Geiser, Avery T. Willis and Ed Stetzer. Contextualization: Sharing the gospel in the context of the unbeliever. Syncretism: The blending of two religions. As a pastor in the Nashville area, I can relate this statement to our city. Our community is the headquarters of several denominations, and our Kentucky / Tennessee region is the origin of several American-birthed church movements. This means in 2011 that VBS is as much a rite of passage for the average Nashvillian as little league and school dances. So, the way we experience Christ in Nashville is different than those in other cultures. This difference applies to other regions of the USA, but it especially applies to foreign unreached people groups. Hilbert’s call to “critical contextualization” is a balanced response to two extreme views on contextualization. Extreme #1: The “colonial missions era” (1800’s – 1950’s) had little to no contextualization. This era depended too much on words, especially in printed version. Pocock pointed out that Westerners depended too much on translations to transfer truth, which often doesn’t happen when a word changes from one language to another (p. 105). The “colonial” mindset is still very much alive in many Christians and missionaries. Extreme #2: The “uncritical contextualization era” (1960’s to current) may come close at times to syncretism. Hilbert’s call to “critical contextualization” is a balance approach to these extremes. I realize that not everyone in the Christian community can accept C5 Muslims (like Geiser’s essay represents). In this case, “critical contextualization” is a middle ground with lots of room for interpretation. Critical contextualization represents the evolving of a method. The irony is “critical contextualization” is a contextualization itself to the globalization we now live in. Whiteman’s comparison of C5 Muslims to Messianic Jews is an important comparison to consider (p. 121). The church of Constantine / Holy Roman Empire (330 – 1000 A.D.) made a tragic mistake by demanding Jews to lose their Jewish distinctive to follow Christ. Could we be making the same mistake by rejecting C5 Muslims? I would have liked to have known from Hiebert if there was any example of how “community-based hermeneutics” works (p. 93-94). The call to learn from the church in all ages (p. 98), reminded me of the value of reading older books on theology, church history and practical Christian subjects. Willis’s call to more oral communication of the gospel to a world that is two-thirds illiterate may be the most practical and helpful point made about contextualization (p.150).